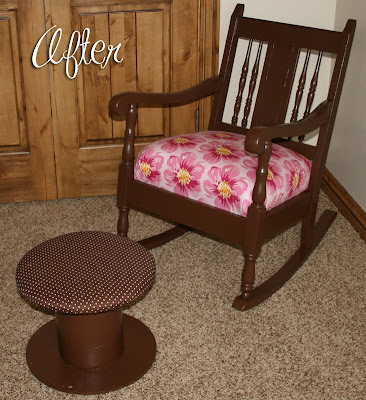 If you've been with me from the beginning of The How-To Gal, you'll remember one of my very first DIY projects: Rocking Chair Transformation. This unassuming rocker, passed down from my great grandmother to my grandmother to me, received a fresh coat of paint and a cushion overhaul. As did this little footstool. 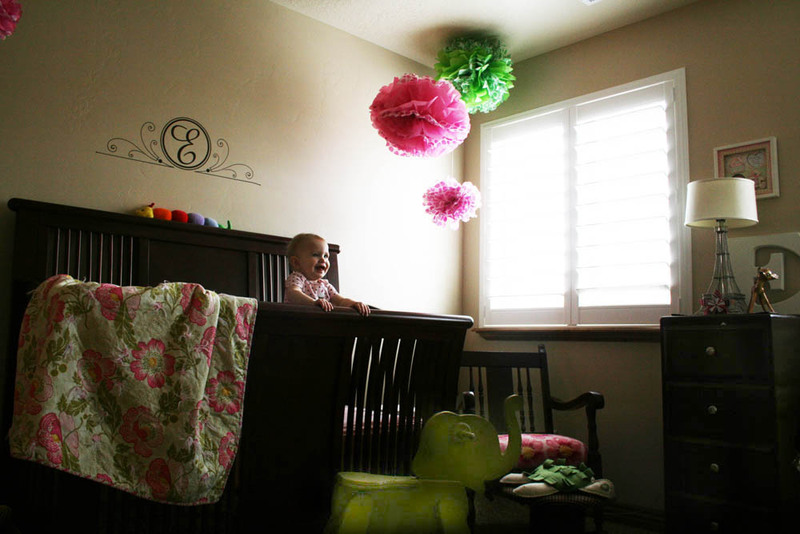 The result was a simple, pink and girly transformation that fit right into Baby E's decor. 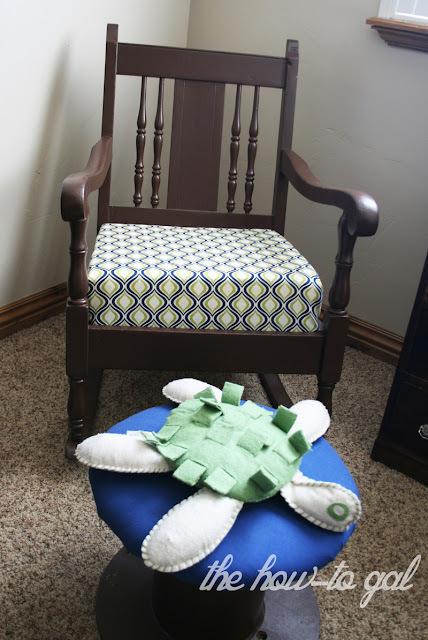 BUT, with a boy on the way and after 2+ years of use, I knew I would need a new cushion and fresh fabric to spruce up the old chair for Baby W.
So, I got rid of those horrible springs (read story here), purchased a cushion from Hobby Lobby with my 40% off coupon, created a wood base to support where the springs used to be and covered the cushion with this delightful geometric pattern. 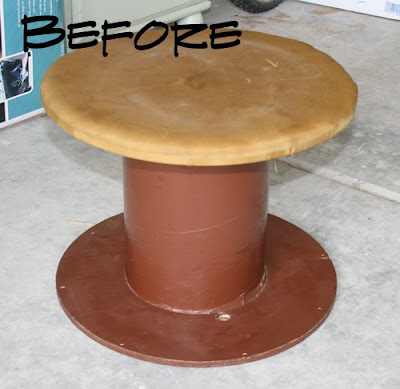 The footrest also got a face lift. 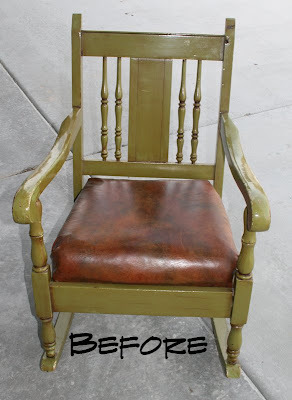 Approximately $12 later, I have a new chair from a previous revamp!